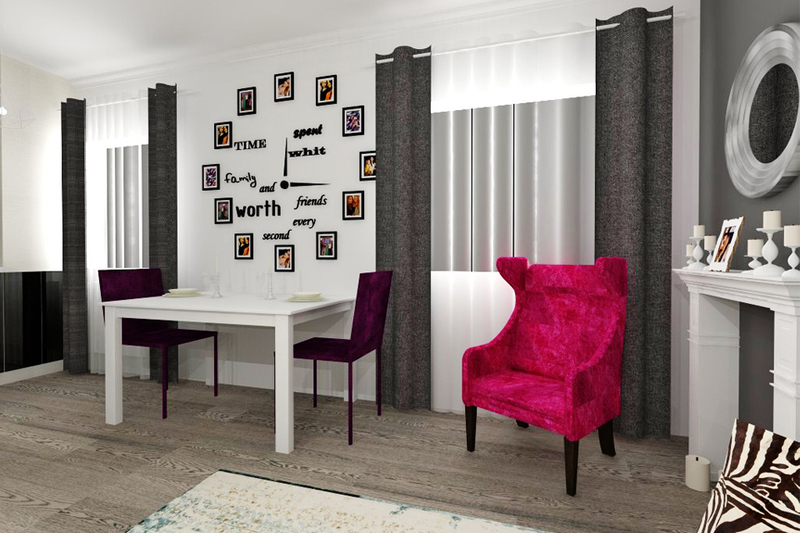 A space that is contemporary and elegant, with different style influences from shabby chic and baroque; this is how we can sum up the style of this project. The neutral color palette increases the light in the living space, and color accents subtle mark every area. The socializing space, “gaming”, festive dinners with friends and society games are just few of the functional needs listed by Andreea and Victor, a young couple, energetic and extremely sociable. An interesting mix of looseness, elegance and style was the result of a beautiful collaboration with this effervescent couple.